Since you have decided on a watch and would like to know when and how the watch will we be sent to you, then let us briefly look at what is involved. We send our watches worldwide with UPS. You will receive two shipments from us. 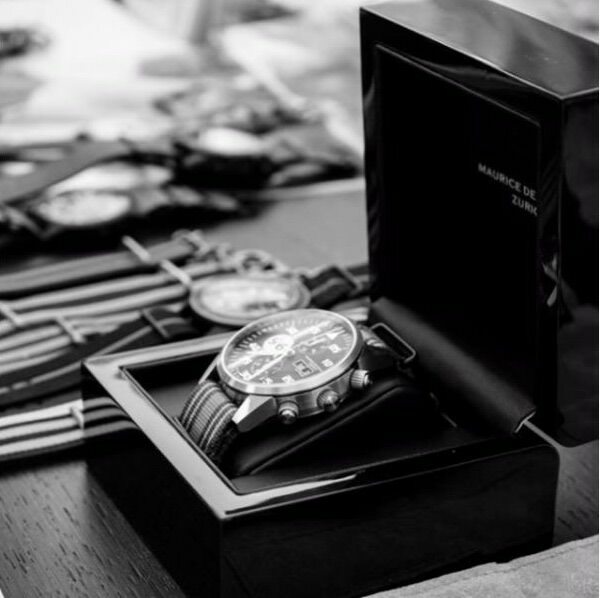 The first includes the watch itself, which will be sent in a special transport packaging in order to provide the highest level of protection for the watch. The second shipment contains the Maurice de Mauriac storage box and the accompanying documents. Shipping takes between 3 and 7 days (depending on the country being shipped to). In order to track your shipment(s) as well as the probable delivery date, we will also send you a tracking number. Shipment of a watch costs CHF 79.00 (Swiss Francs, sent by UPS curier). However, we have decided to offer the shipment for free. This also applies to the shipment within Switzerland, which normally would cost CHF 25.00 (Swiss Francs, sent by Swiss Post). If the value of goods are below CHF 250.00, the shipment costs will be CHF 12.00 worldwide, within Switzerland CHF 8.00. Because each watch is individually made to order, in the case that you decide to return your wach, we are only able to offer store credit or exchange the watch for one of equal value. We operate in accordance with Swiss law, and in particular cases reserve the right to offer an amicable (or “goodwill”) solution. You will bear the shipping costs for returning the watch. We also reserve the right at a later date to offset the costs of shipping associated with “goodwill“ cases.